Product prices and availability are accurate as of 2019-04-24 15:07:55 EDT and are subject to change. Any price and availability information displayed on http://www.amazon.com/ at the time of purchase will apply to the purchase of this product. - Set of 2 lamps: each is 25" high overall. Round bases are 5" wide. Shades are 11" across the top x 13" across the bottom x 9" high. - Each takes one maximum 100 watt standard base bulb (not included). On-off socket switches. 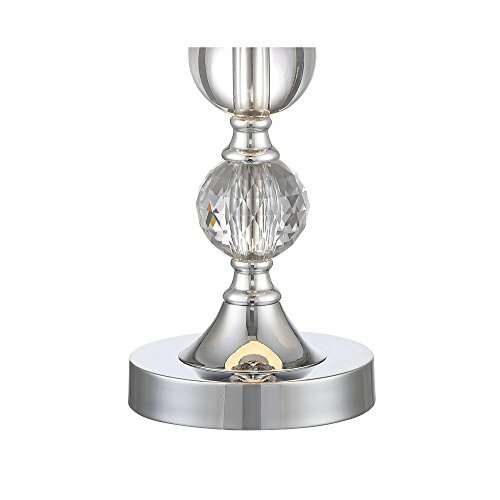 - Stacked crystal ball lamp bases on a silver finish round pedestal. From the 360 Lighting collection. 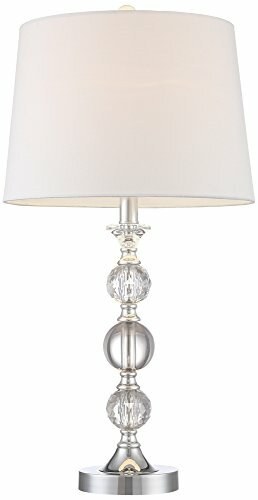 - White tapered drum shades with decorative crystal ball finials. - Clear cord and plug. 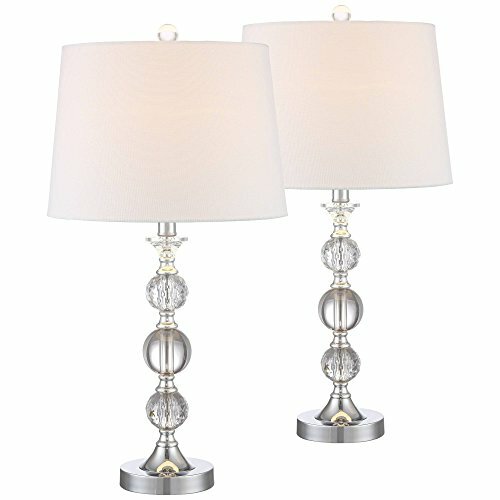 Set of 2 lamps: 25" high x 5" circular base x shades are 11" across the top, 13" across the bottom, and 9" high. Each takes one maximum 100 watt or equivalent bulb (not included); on/off switch. 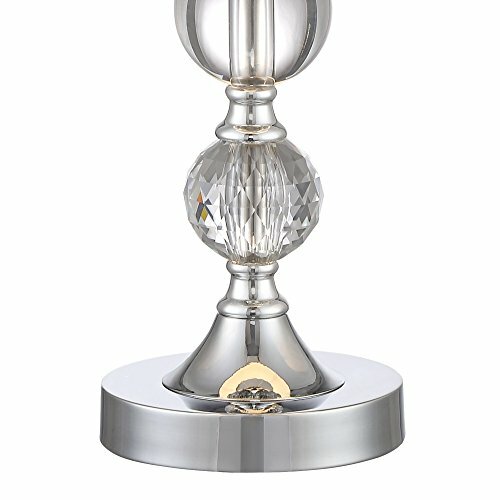 Stacked crystal ball lamp bases on a silver finish round pedestal. 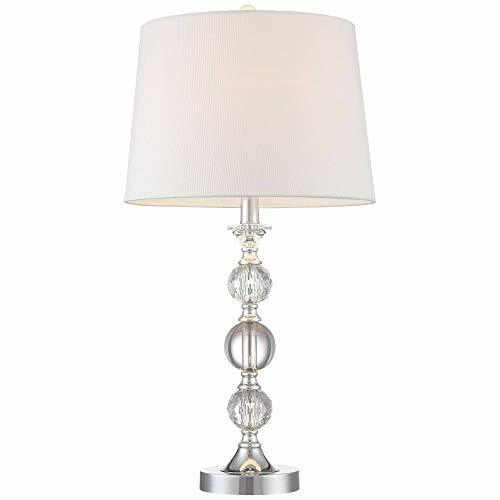 From the 360 Lighting collection. 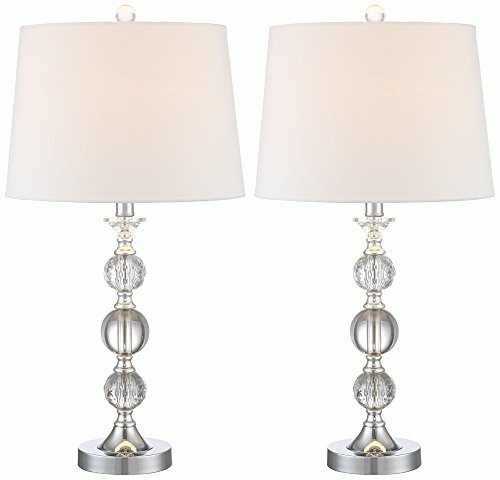 Tapered drum shades with decorative crystal ball finials.